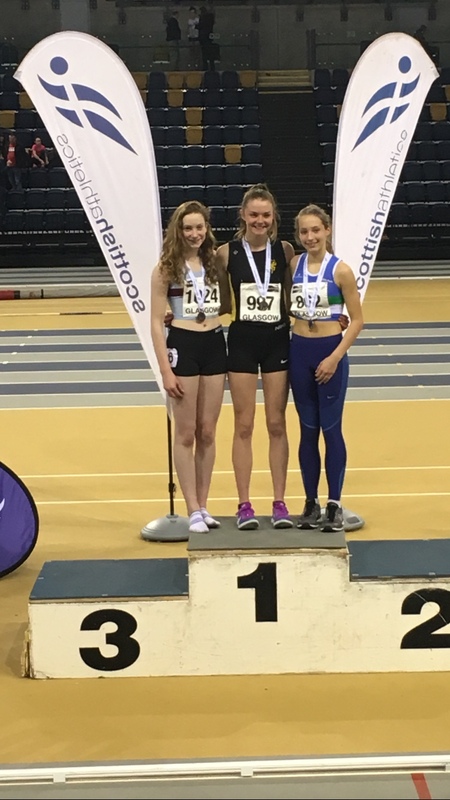 More National medal success for Cumbernauld AAC! Another week, another National medal for our Club! This last year has seen more national medals coming home to Cumbernauld than ever before! Euan Wallace – Finished in 5th Position overall with a total of 1102 points. Euan achieved PBs in the 60H, Shot Put and 800m. Well done Euan! Rory Murray – Finished in 17th position with an overall score of 561 points. This was Rory’s first ever pentathlon in his first year of the u13 age group. He achieved PBs in all 5 events. Well done Rory! Amy Kennedy – Finished in Bronze medal position in her first year in the u15 age group with an overall score of 2682 points. Amy achieved PBs in the Long Jump and the 800m. Well done Amy! Hannah Wallace – Finished in 11th position with an overall score of 2450 points. Hannah achieved PBs in the 60H, High Jump and Shot Put. Well done Hannah! Great results for all 4 athletes, well done to them all!